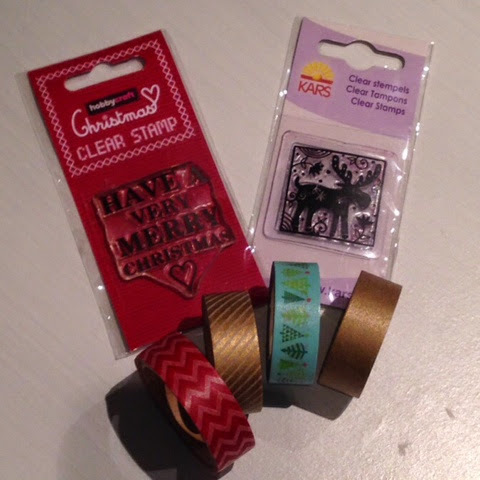 I do love a bit of washi tape and when you are card making using it in place of ribbon makes for a quick and effective decoration. These cards were really easy, once the moose was stamped and I'd added a little gold pen it was just a matter of adding some washi to a base card and sticking on the stamped embellishment! 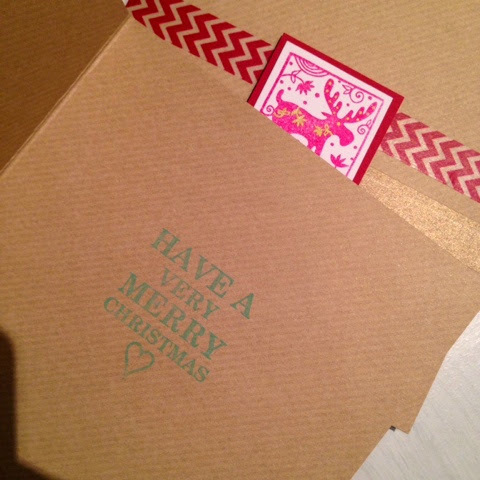 I also added a stamped sentiment inside, and voila, some simple yet effective cards were made for when you want to send something little more than shop bought. 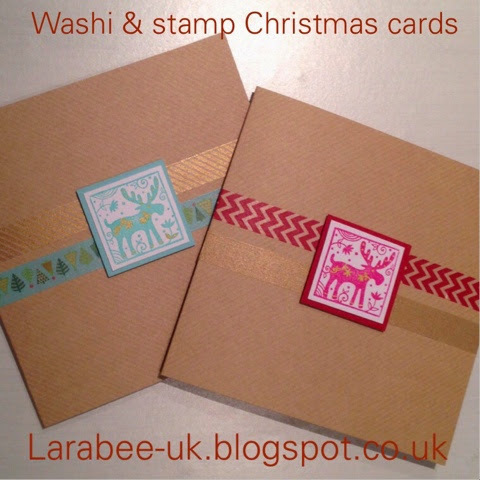 I used items readily and cheaply available either online or at a craft shop, both stamps and the red washi were from hobbycraft (the moose was from last year though). Wow! They are so pretty! I love washi tape, Its so versatile and easy to use. These cards are so sweet. Thanks Julia. I love washi tape, so versatile! Those cards are so cute! What a great idea.